Perfect for a sassy little girls room. My daughter loves it. Great quality. Comes with everything you need. This ultra-soft microfiber comforter set features bright pink flamingos on a light blue ground, accented by floral and paisley motifs. Comforter and sham reverse to a solid light-blue. Coordinating sheet set showcases small, bright pink flamingos and is constructed of 100-percent polyester microfiber fabric. 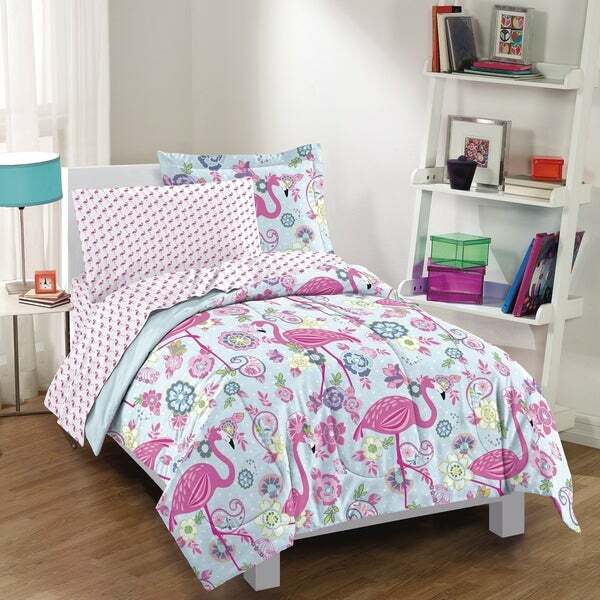 Update your entire bedding set with this fun Flamingo bed in a bag set. Adorable set for my six year old daughter's room. Nice quality too. I've washed and dried it in our home machines and it has held up very well. I would definitely buy again. The cutest comforter and sheet set! Looks adorable ! Very Well priced too! Sheets are super soft and the shams are so colorful, cute reversible comforter even! The material is not what I expected at all.... I will not recommend this item to anyone. This is a great set! I was going to get my daughter something cheap and easy to wash because she is super messy. But, when I saw this and the price under *** I was eager to get more for my money, as I was not excited about the idea of having to shop for matching sheets and pillowcases. She has a full sized pillow top bed so, sometimes the fitted sheet shrinks and won't stay on properly, because of the depth, but these fit well so far. I'll edit my review after washing. The blanket is a nice, lightweight polyester with a cottony feel to it. Seems to be well-made, vivid colors. We'll see how it washes. The sheets are also polyester. They have a bit of a sheen on the underside. I'm concerned about the set being too hit to sleep with in the summer. My daughter said it was fine. She absolutely loves it! ***UPDATE AFTER WASHING***Unfortunately, I did have to return this set which is too bad because it was super cute. It faded drastically after the first wash. Not just a little...I mean this wash, washed away every bit of vibrant color from the blanket. The pink on the flamingo was barely recognizable. I didn't expect it to be completely resistant to fading, but it looked like we'd owned it for years after just one wash. My daughter said she didn't want it anymore. Usually, I'd chastise her for saying something like that, but I didn't want it anymore either. 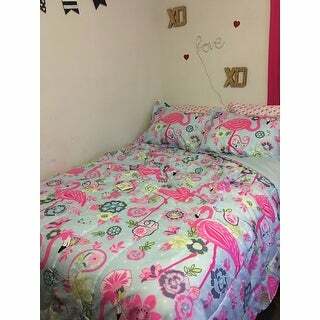 very nice set and very soft sheets. Daughter loves this bed in bag!! New set for our 7 year old. We just bought this new bedding set to replace one we bought two years ago from Overstock. The set we had still looked great but my daughter wanted something a little more grown up. The bedding is awesome. It's so pretty and the sheets are delightful!!! Adorable set. My only warning would be that it is not very soft, so if you are looking for a nice soft sheet/comforter set do not buy this one. It is so cute though, and washed up very nicely. Super cute set! Comforter is soft. I bought one for each of my daughters and they loved it! My daughter's love it. The order came in very fast. We bought this for my daughter’s bed and she absolutely lives the colors and design. 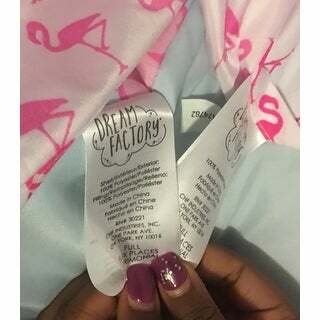 The material is soft and satin like. I love this bedding set and thankfully my daughter did too. It's fun for a younger kid but not the typical "princess" or "fairy" patterns. Granddaughter love it ! Work well with her room color. I was hesitant about ordering this set for my 9 year old daughter because I just knew it was going to come and I'd be completely disappointed, but boy was I wrong! My daughter is going to LOVE this when she opens it on Christmas!!! Granddaughter loves these in her room. Nice and pretty. They look just like the picture. This comforter is adorable and the colors are so vivid. I have washed it a few times and it has held up great in the washer and dryer. It is very soft and my 7-year-old daughter loves it. The only reason I gave it four stars instead of five is because its not very fluffy/stuffed. 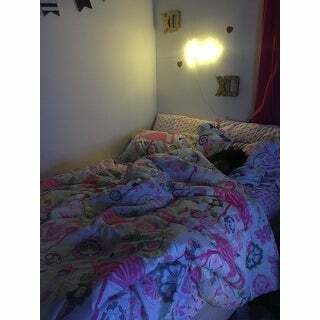 But I've been happy with this purchase and would recommend it for a girl's room. I haven't been too excited to open it yet because the blue background appears darker upon receipt than it did on my laptop monitor. I guess it will be cute just not the shade of blue I was expecting. I put the sheets on my mattress and they do not fit. They might work better on a super thin mattress. "Is there purple in this bedding?" Yes this does have some purple in it. Just makes a room “happy”!